The Oxford Dryphone Universal Phone Case is part of the latest Oxford collection. 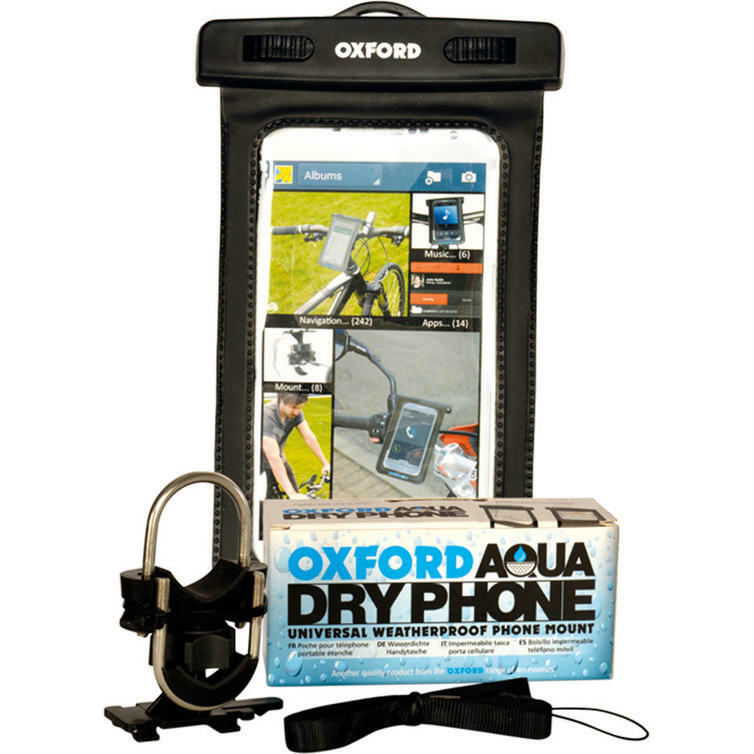 The Oxford Dryphone Universal Phone Case has been designed specifically to fit both motorcycles and cycles. The mounting bracket U-bolts has been designed to attach the opposite way to conventional mounts so that it can be attached to motorcycle bars without coming into contact with the headstock as the mount is tightened. 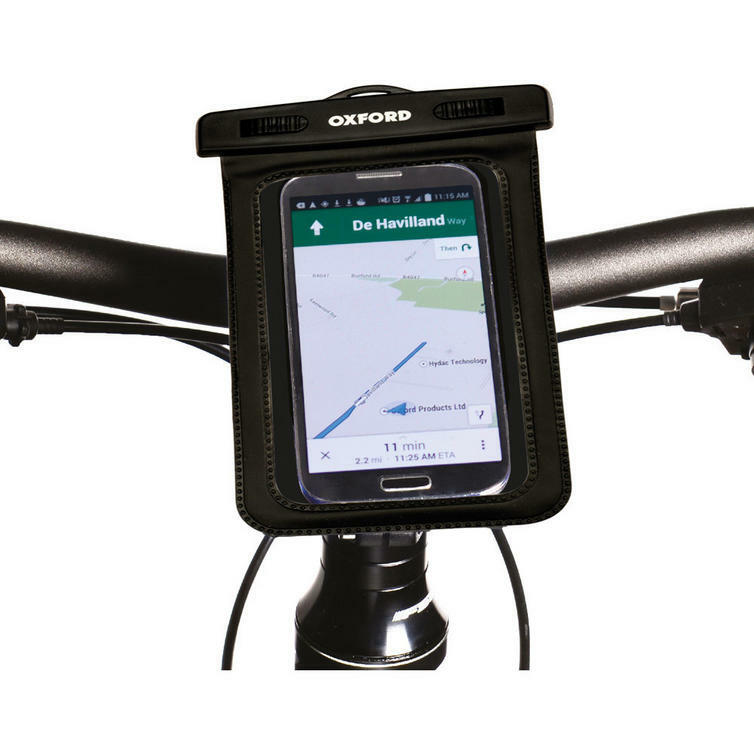 View all Oxford Motorcycle Sat-Nav Holders. View all Motorcycle Sat-Nav Holders.